Fernanda Rey This promo code is working as described, just copy and paste the code during checkout to claim your discount of $10 Off Your Order $60 Or More at Crabtree & Evelyn. cheop Tested this promo code and verified that it works as described. . 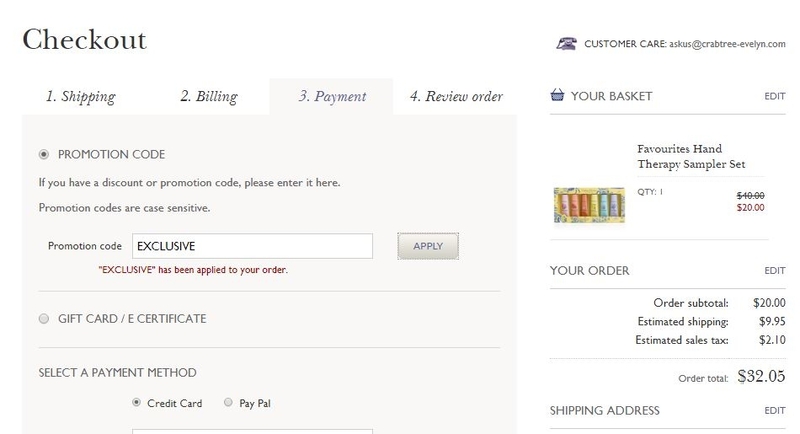 The offer is excellent, apply this promo code at checkout and earn $10 Off Your Order $60 Or More at Crabtree & Evelyn. Daniela Graterol Add items to your shopping bag. Proceed to checkout. Enter promo code into the promotion code box and apply. You wil get 50% off your select gift sets purchase.